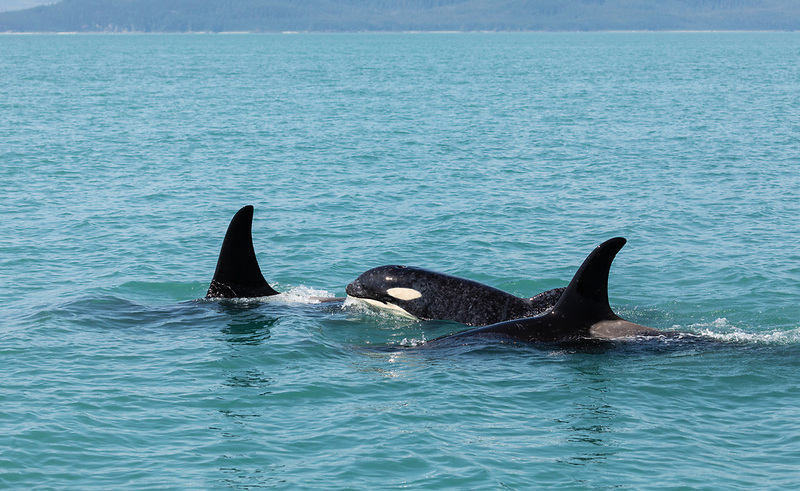 Orca (Orcinus orca) pod with calf at mouth of Berners Bay in Southeast Alaska. Summer. Evening.